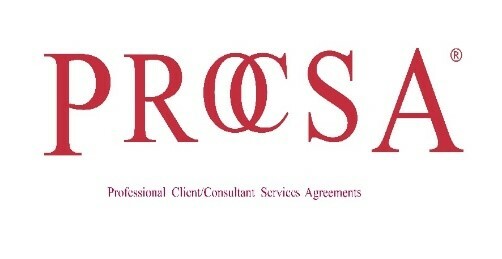 Consulting Engineers South Africa (CESA) has noted with concern the serious allegations against engineer Neil Macleod as reported in the Sunday Tribune of 11 November 2012. Amid the furor and the fact that this matter is sub judice, Consulting Engineers South Africa (CESA) is in support of tolling South Africa’s national freeways and in particular we support the principle of user-pays for the Gauteng Freeway Improvement Project. CESA recently hosted a successful conference at the ICC in Durban attended by close to 200 delegates and 17 industry speakers. Business Unity South Africa Vice President Dean Mogale says that the country cannot afford the mistakes that it is making in terms of the infrastructure challenges.“The construction industry is a substantial driver of economic development and has an effect in a country or region. Fixed infrastructure investment is vital for the country in dealing with issues of globilisation and urbanisation,” Mogale told the Consulting Engineers South Africa (CESA) annual conference held in Durban this week. The disclosure by Census 2011 that more people are moving to the Western Cape and Gauteng as a result of urbanisation is cause for concern, avers Consulting Engineers South Africa (CESA) CEO Graham Pirie.“It brings new dynamics into play in terms of new infrastructure spend and will come with added costs, which calls for more infrastructure investment and innovative funding models,” says Pirie. Consulting Engineers South Africa (CESA) was invited to participate in the Presidential Infrastructure Conference that took place last Friday.Infrastructure investment is a key priority of both the National Development Plan and the New Growth Path, which is expected to transform the economy, directing national growth and driving job creation by implementing a long-term, government-led infrastructure investment programme. Consulting Engineers South Africa (CESA) has expressed concern about the Auditor General’s (AG) findings regarding the woes plaguing the Department of Public Works, which led to the department getting another disclaimer for the 2011/12 financial year. 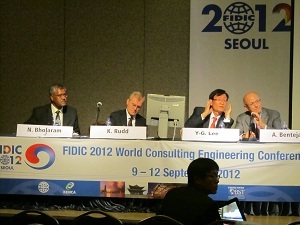 A South African delegation representing Consulting Engineers South Africa (CESA) recently attended the world conference of the International Federation of Consulting Engineers (FIDIC) held in Seoul, Korea during September with the theme “Beyond Green: A New Paradigm”. 800 of the world’s leading engineers from 75 countries met to discuss pressing issues with a major focus on sustainability and its practical implementation.At the conference FIDIC outlined its priorities that are to focus on the concept of sustainability, integrity and quality.